Hunters Estate Agents and Letting Agents Hayes office is a well-established Estate Agents which has been situated on Coldharbour Lane for over 25 years. Sales and lettings in all UB postcodes - Southall, Hayes, Harlington, Sipson, Yeading and Harmondsworth - is our speciality. The team is made up from seven members of staff who have over 60 years’ combined experience in the property market; this means our customers are assured they are speaking to experienced and professional agents. Hunters Hayes have a wide variety of customers ranging from first time buyers to investment buyers. Typical properties in the Hayes area are properties built in the very early 1900’s but we have a wide range of property types including to a large range of brand new apartments. The area is home to a wide mixture of one, two and three bedroom houses and flats as well as bungalows. Since becoming a Hunters franchised office, we have been making excellent progress and are successfully putting Hunters the Estate Agent name on the property map of Hayes and surrounding areas. We have seen a number of changes over the past few years but our aim has been consistent throughout: to provide our clients with a professional and honest service. Hunters the Estate Agent and Letting Agents Hayes offers a wealth of knowledge in regards to the local area, history behind the town, the progression we have seen over the past years and where we can see the area and the property market heading over the next few years. There isn’t a property related question that we wouldn’t know the answer to! Our core market is Hayes but we have a good knowledge of Southall, Yeading and the surrounding Heathrow villages. If you are visiting the Hunters office in Hayes, you will find we are serviced by several bus routes which include the U4, 140 and E6 as well as Hayes and Harlington British Rail station which is located a short distance away. There are parking bays (chargeable) available outside the front of the Hunters branch with parking for up to two hours maximum or a thirty minute stay for free. We look forward to seeing you in our Hunters branch and helping you get on the move – weather selling, letting renting or buying. For a free, no obligation, sales or lettings valuation, or to register to let us help you find your dream home, contact Hunters the Estate Agent in Hayes. I just wanted to send you a quick email to say a huge thank you for all your help with regards to letting out my property. As you know, this is my very first time being a Landlord and prior to biting the bullet and getting the place onto the market, I had lots of reservations about renting my property, You hear so many horror stories. But I since my first contact with Hunters, you and your team have really put my mind at ease, I feel confident knowing my property is in safe hands being fully managed by yourselves, you ensured I had all the necessary Insurances and cover required for any possible misshaps. So thank you all once again for your time and patience, walking me through the whole process of being a Landlord. I look forward to working with you and who knows, maybe this is my first property of a possible growing portfolio I may be able to build up on with your guidance. Your support and assistance with the sale, especially when it involved such a difficult buyer, is much appreciated, and we are of course very pleased that the sale finally went through thanks to your expertise. Thanks again, and all best wishes for the future. Click to view preferred suppliers for Hunters Hayes. VAT Reg No: 948 0052 27 | Registered No: 09898366 | Registered Office: C/O Delta House Limited, Office 5, Phoenix House, Phoenix Business Centre, rosslyn Crescent, Harrow, Middlesex, HA1 2SP. A Hunters franchise owned and operated under licence by C D Anderson Hayes Limited. 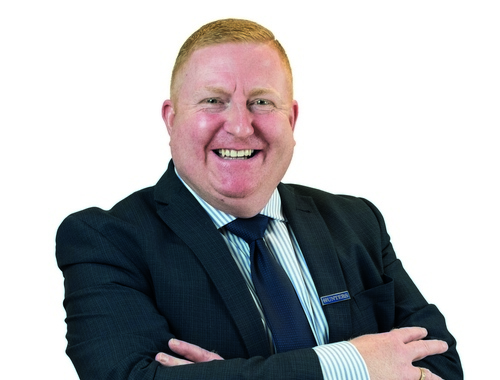 Darren Bailey is a well known face within the Hillingdon Borough having served the community in Estate Agency for over 20 years. 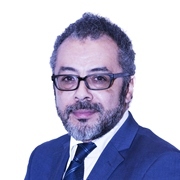 Darren’s extensive knowledge and expertise have proved invaluable in securing new and repeat business. Long standing relationships with key members of the community contribute to the quality service Darren is able to provide, not only to local customers but to overseas clients, developers and investment acquisition executives. Darren’s commitment to his clients consists of building an unrivaled rapport and delivering on his clients time frame with their best interest firmly in mind. Darren is responsible for negotiations and progressing the sales pipeline to a successful completion. 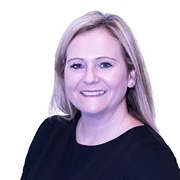 Having started her working career in Estate Agency at 16 years old, Carly Anderson has worked in all aspects of Agency contributing to her wealth of knowledge and expertise. Currently training in Human Resources to gain her CIPD Level 3, she is able to support the franchise staff during their employment and in addition to the daily running operations of business. Launching a new lettings department in January 2018 at Hunters Hillingdon, Carly is keen to continue learning and improving her skills to better service clients old and new. Carly has has also now gained her HNQ Diploma in Sales and Lettings. Tommy Anderson joined Hunters in 2014 on a part time basis, since leaving school he decided to embark on an apprenticeship scheme to help enhance his skills within Customer Services. Tommy has enjoyed working within the property industry, deciding to train in all Sales and Listing areas to further progress his career. Tommy has worked hard to become a well loved and valued member of our team, he plans to continue learning, growing from strength to strength in all areas of the business. 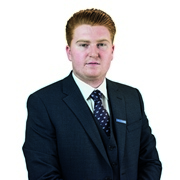 Tommy is currently training to pass his HNQ Certificate in Sales and Lettings. 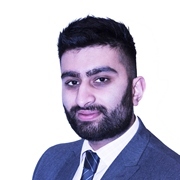 Dhiraj Sharma joined Hunters in 2016, his role is varied, currently supporting our Sales and Lettings Department as Sales Negotiator. Dhiraj has a keen interest in progressing his career in Property and is currently studying a Construction Management Degree at Kingston University. Dhiraj hopes to progress into Land and New Homes in the future, his natural flair for the business is evident, customers and colleagues rave excellent reviews.